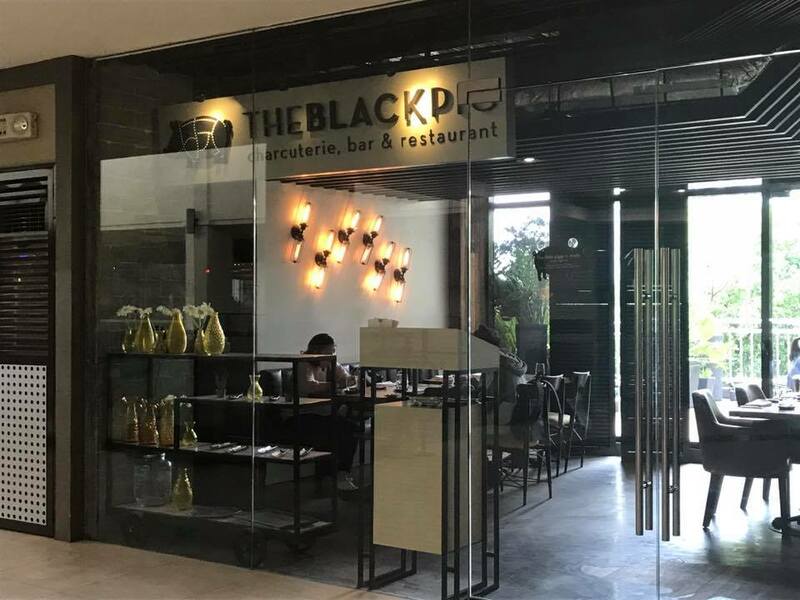 The Black Pig restaurant has been named after the local lechon as tribute to its wide popularity amongst Filipino palate. 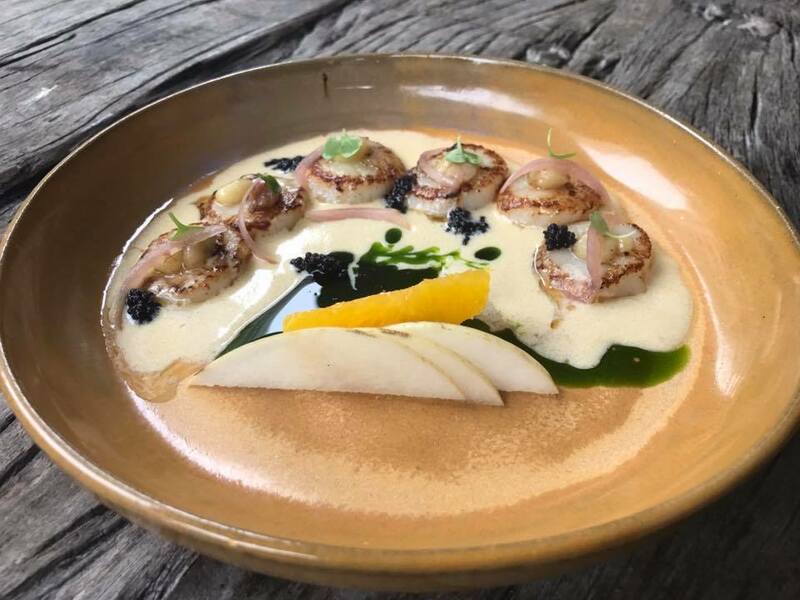 Just like its affiliate restaurant, The Pigpen, The Black Pig offers well-curated food options that true pig lovers will find hard to resist. The elegant interior has private nooks for functions or family celebrations. It has a big terrace with a great view to match. Crowds who prefer the terrace can relax under the cool evening sky. The Black Pig Charcuterie Board (P 950) is a ham sampler haven. 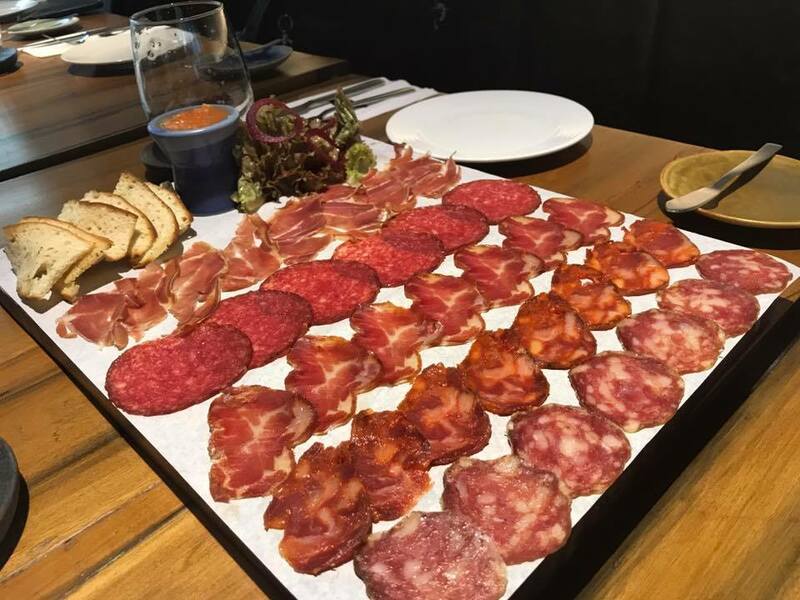 The selection includes Jamon Iberico de Bellota, Lomo Iberico, Chorizo Iberico, Salchichon Iberico and Salami Milano, which make good tapas best paired with sangria or cocktails. Their take on Pork Belly (P 490) is one for the books! 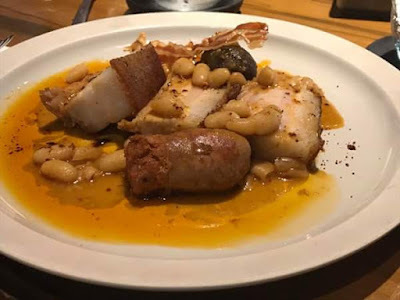 The tender meat slabs come in savory sauce laden with beans, bacon and sausages. 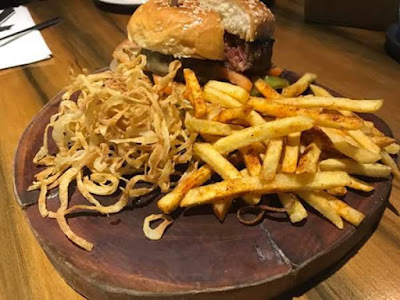 The Black Pig Burger (P 390) was a hit! The cheese combines with the moist patty that gives it a very smooth savory taste that’s just perfect. It comes with French Fries and String Onions on the side. 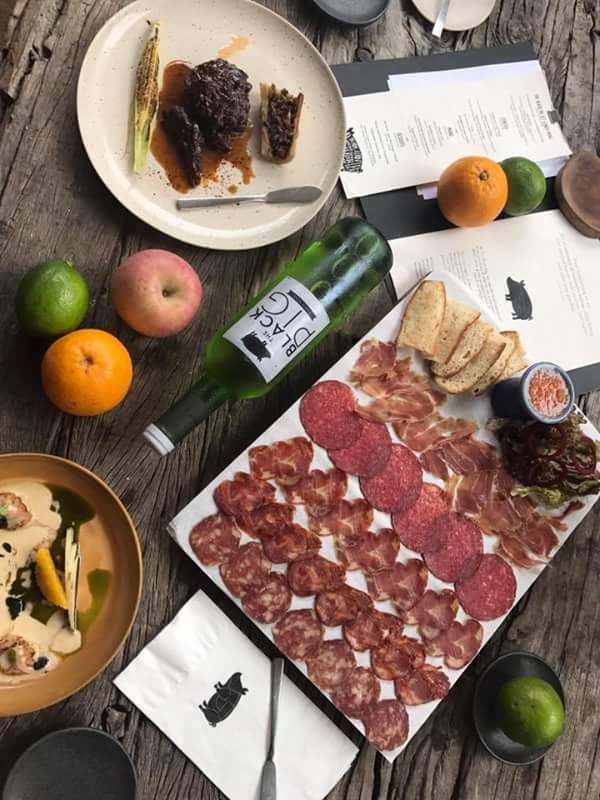 The Black Pig is also a place for new food discoveries that goes beyond pork tapas and pinchos. They have Scallops (P 750) and Beef Cheeks (P 850) as best sellers. I'm a fan of squid and I so love their Black Ink Rice with Squid and Aioli (P 250). This olio-style rice dish tastes like paella negra but a lot better. I also love the perfectly seasoned Calamares and Chips (P 350). Moreover, they have soups (Cauliflower Soup / Garlic Soup), salads (Asian Mix / Mediterranean Salad), breads, cheese plates and sandwiches in the menu.